9780559415289 | Bibliolife, October 31, 2008, cover price $35.99 | About this edition: This is a pre-1923 historical reproduction that was curated for quality. 9780548133972 | Kessinger Pub Co, July 31, 2007, cover price $49.95 | About this edition: This scarce antiquarian book is a facsimile reprint of the original. 9780404591298 | Reprint edition (Ams Pr Inc, June 1, 1995), cover price $37.95 | About this edition: This work has been selected by scholars as being culturally important, and is part of the knowledge base of civilization as we know it. 9780559415265 | Bibliolife, October 31, 2008, cover price $20.99 | About this edition: This is a pre-1923 historical reproduction that was curated for quality. 9781428644984 | Kessinger Pub Co, July 31, 2006, cover price $34.95 | About this edition: This scarce antiquarian book is a facsimile reprint of the original. John Dewey (1859-1952) believed that learning was active and schooling unnecessarily long and restrictive. His idea was that children came to school to do things and live in a community which gave them real, guided experiences which fostered their capacity to contribute to society. For example, Dewey believed that students should be involved in real-life tasks and challenges: maths could be learnt via learning proportions in cooking or figuring out how long it would take to get from one place to another by mule history could be learnt by experiencing how people lived, geography, what the climate was like, and how plants and animals grew, were important subjects Dewey had a gift for suggesting activities that captured the center of what his classes were studying. 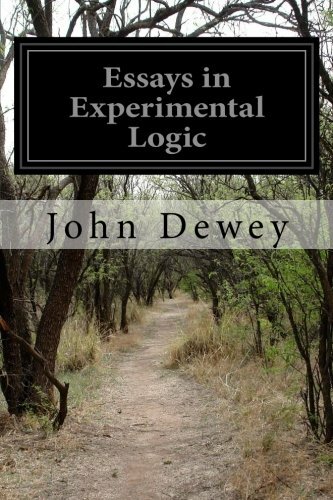 Dewey's education philosophy helped forward the "progressive education" movement, and spawned the development of "experiential education" programs and experiments. 9781595475480 | Nuvision Pubns, February 28, 2009, cover price $36.99 | About this edition: John Dewey (1859-1952) believed that learning was active and schooling unnecessarily long and restrictive. 9781511981248 | Createspace Independent Pub, April 30, 2015, cover price $7.49 | About this edition: 1. 9781508625544 | Createspace Independent Pub, February 25, 2015, cover price $12.99 | About this edition: Dewey's attempt to at once synthesize, criticize, and expand upon the democratic educational philosophies of Jean-Jacques Rousseau and Plato. 9781492219439 | Createspace Independent Pub, August 22, 2013, cover price $11.99 | About this edition: "Democracy and Education" is a truly wonderful book with none of the dogmatic pretense or "scientific methods" features in so many competing treatises. It is three daysâ easy journey from Japan to China. It is doubtful whether anywhere in the world another journey of the same length brings with it such a complete change of political temper and belief. Certainly it is greater than the alteration perceived in journeying directly from San Francisco to Shanghai. The difference is not one in customs and modes of life; that goes without saying. It concerns the ideas, beliefs and alleged information current about one and the same fact: the status of Japan in the international world and especially its attitude toward China. 9781489512468 | Createspace Independent Pub, May 19, 2013, cover price $7.99 | About this edition: It is three daysâ easy journey from Japan to China. 9781530667024 | Createspace Independent Pub, March 23, 2016, cover price $12.99 | About this edition: This collection of literature attempts to compile many of the classic works that have stood the test of time and offer them at a reduced, affordable price, in an attractive volume so that everyone can enjoy them. 9781428600157 | Kessinger Pub Co, May 30, 2006, cover price $37.95 | About this edition: This scarce antiquarian book is a facsimile reprint of the original. 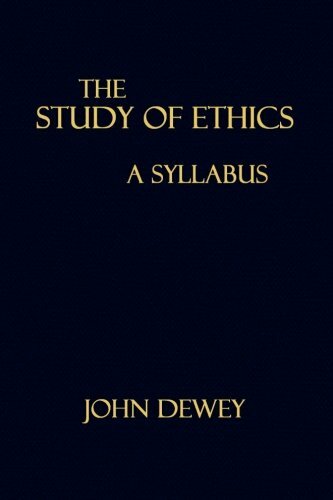 9780486437484 | Dover Pubns, December 7, 2004, cover price $12.95 | About this edition: The scope of John Dewey's writings — ranging from aesthetics and education to legal and political theory — and his role in the development of twentieth-century philosophy have helped make him a continuing influence on contemporary thought. 9781432606459 | Kessinger Pub Co, April 30, 2004, cover price $41.95 | About this edition: This scarce antiquarian book is a facsimile reprint of the original. 9781515393412 | Createspace Independent Pub, August 10, 2015, cover price $14.50 | About this edition: "Our teachers find their tasks made heavier in that they have come to deal with pupils individually and not merely in mass. 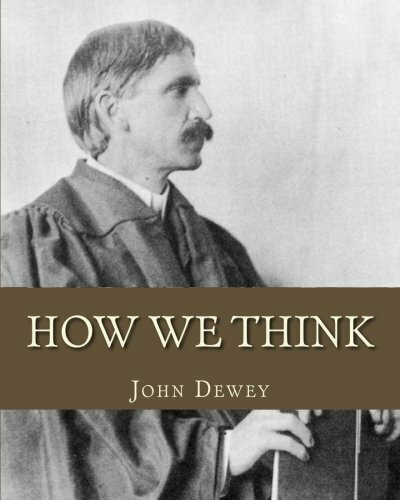 9781495911873 | Createspace Independent Pub, February 11, 2014, cover price $9.99 | About this edition: "How We Think" by John Dewey is a classic book about thinking. 9781512239225 | Createspace Independent Pub, May 16, 2015, cover price $6.99 | About this edition: It is one of the complaints of the schoolmaster that the public does not defer to his professional opinion as completely as it does to that of practitioners in other professions. 9781499148367 | Createspace Independent Pub, April 15, 2014, cover price $6.99 | About this edition: It is one of the complaints of the schoolmaster that the public does not defer to his professional opinion as completely as it does to that of practitioners in other professions. 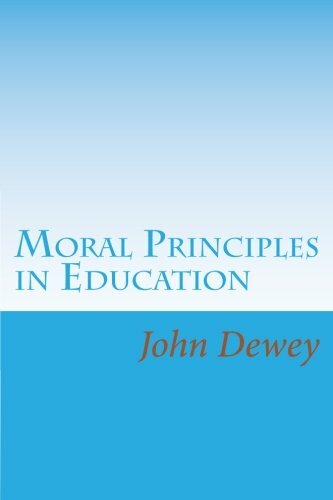 9781495912641 | Createspace Independent Pub, February 11, 2014, cover price $6.99 | About this edition: Although it was written at the beginning of the 20th century, âMoral Principles in Educationâ is still relevant to education today. 9781492975762 | Createspace Independent Pub, October 13, 2013, cover price $11.92 | About this edition: Moral Principles in Education By John Dewey Includes; The Moral Purpose of the School, The Moral Training Given by the School Community, The Moral Training from Methods of Instruction, The Social Nature of the Course of Study, The Psychological Aspect of Moral Education, John Dewey was an American philosopher, psychologist, and educational reformer whose ideas have been influential in education and social reform. 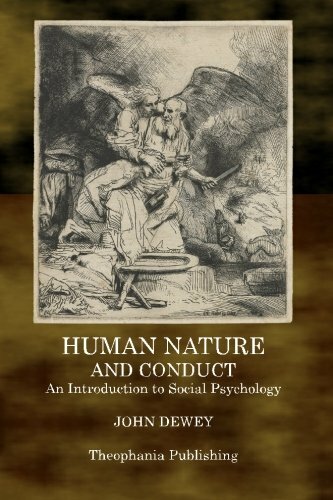 9781605200019, titled "Human Nature And Conduct: An Introduction to Social Psychology" | Cosimo Inc, December 30, 2007, cover price $23.99 | About this edition: The problem with morality, according to Pragmatist John Dewey, is that it assumes an inherent lacking in human nature and then seeks, through constraining rules, punishment, and threat, to make humans act differently-act against their nature. 9781432614683 | Kessinger Pub Co, April 30, 2005, cover price $46.95 | About this edition: This scarce antiquarian book is a facsimile reprint of the original. 9781420944044, titled "Human Nature and Conduct: An Introduction to Social Psychology" | Digireads.Com, January 30, 2012, cover price $9.99 | About this edition: John Dewey (1859-1952) is an American philosopher and psychologist most notably remembered for his theories on progressive education. 9781602061057, titled "Human Nature and Conduct: An Introduction to Social Psychology" | Cosimo Inc, March 31, 2007, cover price $9.99 | About this edition: The problem with morality, according to Pragmatist John Dewey, is that it assumes an inherent lacking in human nature and then seeks, through constraining rules, punishment, and threat, to make humans act differently-act against their nature. 9781417917839 | Kessinger Pub Co, April 1, 2005, cover price $31.95 | About this edition: This scarce antiquarian book is a facsimile reprint of the original. 9781432601133 | Kessinger Pub Co, December 31, 2004, cover price $35.95 | About this edition: This scarce antiquarian book is a facsimile reprint of the original. 9780836955521 | Reprint edition (Ayer Co Pub, June 1, 1915), cover price $15.95 | About this edition: The will of John Calvin McN air established a Foundation at the University of North Carolina upon which public lectures are to be given from time to time to the members of the University. 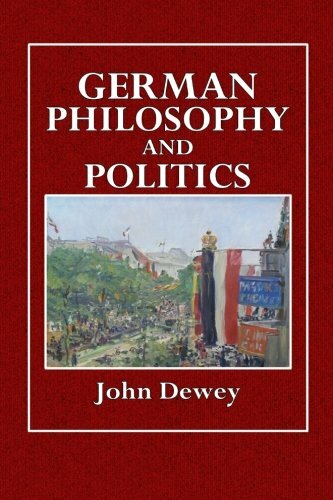 9781514386682 | Createspace Independent Pub, June 16, 2015, cover price $7.99 | About this edition: Among the many books on the meaning and causes of the war in Europe this one of Professor Dewey has a unique place. 9781406708370 | Lightning Source Inc, March 30, 2007, cover price $26.95 | About this edition: Many of the earliest books, particularly those dating back to the 1900s and before, are now extremely scarce and increasingly expensive. 9781417959051 | Kessinger Pub Co, December 30, 2004, cover price $20.95 | About this edition: This scarce antiquarian book is a facsimile reprint of the original. 9781103751303 | Bibliolife, April 30, 2009, cover price $35.99 | About this edition: This is a pre-1923 historical reproduction that was curated for quality. 9781514296813 | Createspace Independent Pub, June 11, 2015, cover price $6.99 | About this edition: This collection of literature attempts to compile many of the classic works that have stood the test of time and offer them at a reduced, affordable price, in an attractive volume so that everyone can enjoy them. 9781103751228 | Bibliolife, April 30, 2009, cover price $20.99 | About this edition: This is a pre-1923 historical reproduction that was curated for quality. 9781409731962 | Appleby Pr, May 31, 2008, cover price $30.99 | About this edition: Many of the earliest books, particularly those dating back to the 1900s and before, are now extremely scarce and increasingly expensive. 9780486466101 | Dover Pubns, April 21, 2008, cover price $9.95 | About this edition: According to John Dewey, this landmark in the history of American education illustrates "what actually happens when schools start out to put into practice, each in its own way, some of the theories that have been pointed out as the soundest and best since Plato. 9781410207258 | Univ Pr of the Pacific, July 1, 2003, cover price $17.99 | About this edition: A classic of World War I-era "experimental" education by the Columbia University Professor and philosopher, written in collaboration with his daughter -hailed at its publication in 1915 as "the most significant and informing study of educational conditions that has appeared in twenty years. 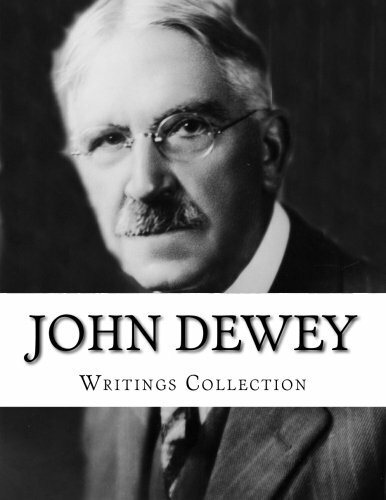 Product Description: This is a collection of three books all written by, John Dewey. The books are all unabridged complete original classics. The books included in this compilation are: The Child and the Curriculum, How We Think, Moral Principles in Education. 9781514242414 | Createspace Independent Pub, June 5, 2015, cover price $14.99 | About this edition: This is a collection of three books all written by, John Dewey. 9781508964964 | Createspace Independent Pub, March 20, 2015, cover price $12.00 | About this edition: In Democracy and Education, Dewey argues that the primary ineluctable facts of the birth and death of each one of the constituent members in a social group determine the necessity of education. A morality "based on the study of human nature instead of upon disregard for it" is the focus of this influential work by one of America's greatest educators and philosophers. John Dewey maintains that the key to social psychology lies in an understanding of the many varieties of habit; individual mental activity, on the other hand, is guided by the subordinate factors of impulse and intelligence. "The mind," Dewey asserts, "can be understood in the concrete only as a system of beliefs, desires, and purposes which are formed in the interaction of biological aptitudes with a social environment." His investigation focuses on three main areas: the place of habit in conduct; the place of impulse in conduct; and the place of intelligence in conduct. Each factor receives an incisive treatment, brimming with ideas, insights, and considered reflections.This classic of its genre presents a rich banquet of food for thought, certain to be appreciated by educators, psychologists, philosophers, and anyone interested in the role of the individual in society. 9780486420974 | Reprint edition (Dover Pubns, June 19, 2002), cover price $24.95 | About this edition: A morality "based on the study of human nature instead of upon disregard for it" is the focus of this influential work by one of America's greatest educators and philosophers. 9781110371792 | Bibliolife, May 30, 2009, cover price $28.99 | About this edition: This is a pre-1923 historical reproduction that was curated for quality. 9780548107119 | Kessinger Pub Co, July 30, 2007, cover price $41.95 | About this edition: This scarce antiquarian book is a facsimile reprint of the original. 9780471537434, titled "Elementary Linear Algebra" | John Wiley & Sons Inc, May 1, 2000, cover price $55.01 | also contains Elementary Linear Algebra | About this edition: As the most widely used text on elementary linear algebra, this book, in its 18th year of publication, has been substantially revised and updated. 9781492974598 | Createspace Independent Pub, October 18, 2013, cover price $11.50 | About this edition: Published in 1920, these are the author's thoughts of the reconstruction of ideas and ways of thought in philosophy that were happening in that time period. 9781110371754 | Bibliolife, May 30, 2009, cover price $25.75 | About this edition: This is a pre-1923 historical reproduction that was curated for quality. 9781605203461 | Cosimo Inc, October 30, 2008, cover price $9.99 | About this edition: Though best remembered today as a philosopher of early-childhood education through his influential 1899 work The School and Society and the essay “The Child and the Curriculum,” John Dewey also expended considerable thought on the progress of philosophy itself. 9781428615144 | Kessinger Pub Co, October 18, 2006, cover price $26.95 | About this edition: This scarce antiquarian book is a facsimile reprint of the original. 9780486434384 | Enlarged edition (Dover Pubns, June 11, 2004), cover price $10.95 | About this edition: "A modern classic. 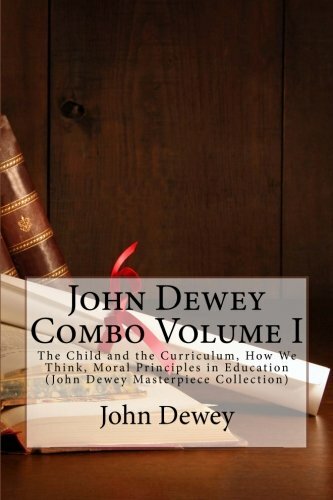 9781503362772 | Createspace Independent Pub, November 24, 2014, cover price $12.95 | About this edition: John Dewey's book, The Child and The Curriculum, looks at the process of education from both perspectives â child and curriculum. 9781503115675 | Createspace Independent Pub, November 6, 2014, cover price $6.99 | About this edition: This collection of literature attempts to compile many of the classic works that have stood the test of time and offer them at a reduced, affordable price, in an attractive volume so that everyone can enjoy them. 9781481215435 | Createspace Independent Pub, December 10, 2012, cover price $7.99 | About this edition: In coming before you I had hoped to deal with the problem of the relation of psychology to the social sciencesâand through them to social practice, to life itself. 9781432510190 | Kessinger Pub Co, January 31, 2007, cover price $15.95 | About this edition: This scarce antiquarian book is a facsimile reprint of the original. 9781500543679 | Createspace Independent Pub, July 17, 2014, cover price $14.00 | About this edition: John Dewey (1859 â 1952) was an American philosopher, psychologist, and educational reformer whose ideas have been influential in education and social reform. 9781496062499 | Createspace Independent Pub, February 24, 2014, cover price $8.99 | About this edition: An excerpt from the beginning of CHAPTER I. 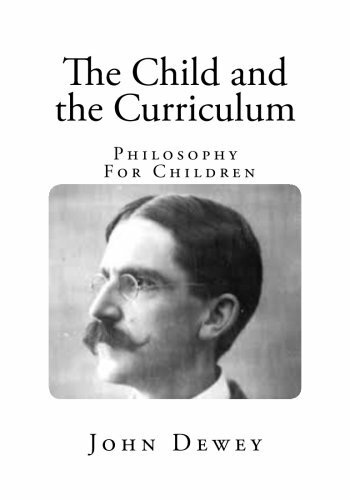 9781495913129, titled "The School and Society & the Child and the Curriculum" | Createspace Independent Pub, February 11, 2014, cover price $7.95 | About this edition: Though he did not coin the phrase "Progressive Education," American philosopher and psychologist, John Dewey, has historically been associated with this modern educational method. 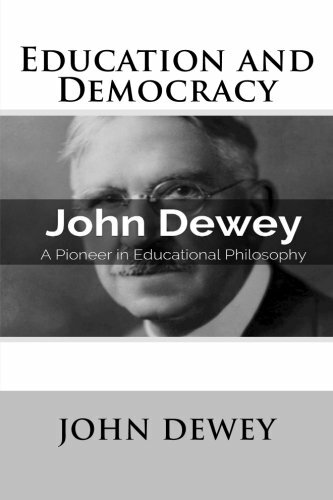 9781420938012 | Digireads.Com, January 30, 2010, cover price $6.99 | About this edition: Though he did not coin the phrase "Progressive Education," American philosopher and psychologist, John Dewey, has historically been associated with this modern educational method. 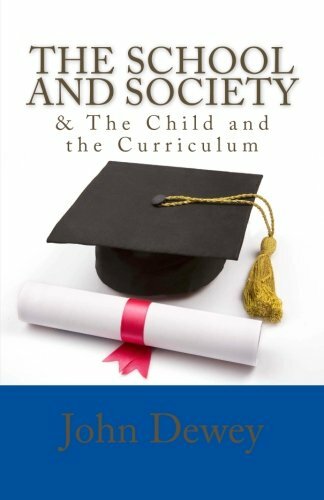 9781449977511, titled "The School and Society & the Child and the Curriculum" | Createspace Independent Pub, December 16, 2009, cover price $4.95 | About this edition: This timeless book contains two John Dewey classics: "The School and Society" and "The Child and the Curriculum. 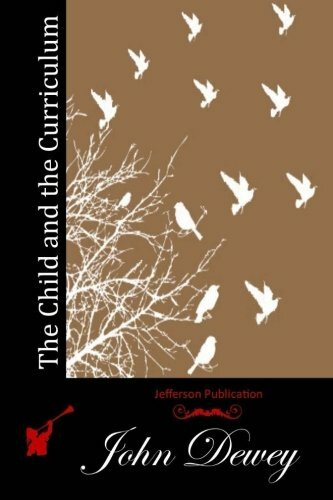 9781499182866 | Createspace Independent Pub, April 18, 2014, cover price $6.99 | About this edition: The Child and the Curriculum Profound differences in theory are never gratuitous or invented. 9781494240486 | Large print edition (Createspace Independent Pub, November 22, 2013), cover price $5.99 | About this edition: John Dewey had particular ideas about what would work when teaching children in a classroom setting, and in this very short, but very important book, he lays out his thoughts on the subject. 9781483949758 | Createspace Independent Pub, March 24, 2013, cover price $6.99 | About this edition: The Child and the Curriculum is presented here in a high quality paperback edition. 9780271055688 | Pennsylvania State Univ Pr, October 15, 2012, cover price $69.95 | About this edition: The revival of interest in pragmatism and its practical relevance for democracy has prompted a reconsideration of John Dewey s political philosophy. 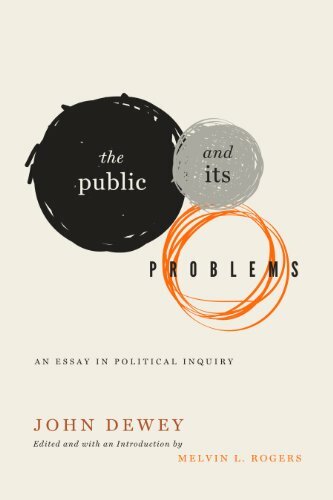 9780271055695, titled "The Public and Its Problems: An Essay in Political Inquiry" | Pennsylvania State Univ Pr, October 15, 2012, cover price $72.95 | About this edition: The revival of interest in pragmatism and its practical relevance for democracy has prompted a reconsideration of John Dewey s political philosophy. 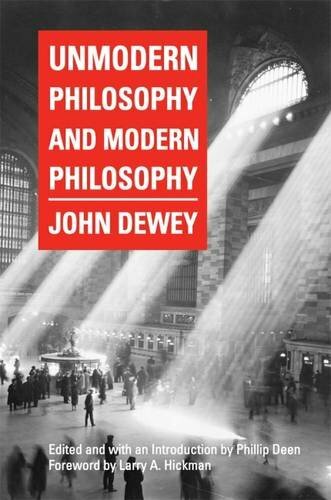 9780809330799 | Southern Illinois Univ Pr, May 16, 2012, cover price $60.00 | About this edition: In 1947 Americaâs premier philosopher, educator, and public intellectual John Dewey purportedly lost his last manuscript on modern philosophy in the back of a taxicab.